*What’s your single most important question about SSL Certificates? *Why would it make a difference in your life to get a great answer or solution for this question? Marketing Permissions SSL Dragon will use the information you provide on this form to be in touch with you and to provide updates and marketing. You can change your mind at any time by clicking the unsubscribe link in the footer of any email you receive from us, or by contacting us at [email protected] We will treat your information with respect. For more information about our privacy practices please visit our website. By clicking, you agree that we may process your information in accordance with these terms. Since its inception, the Internet has faced countless of safety challenges and privacy issues. While the intensity of cyber-threats hasn’t diminished, year by year, the online landscape is becoming a safer place thanks to secure browsing. How do you protect your website and keep your visitors’ data safe? You buy and install an SSL certificate. So, when it comes to data protection, the SSL certificate is the first step towards your online security. 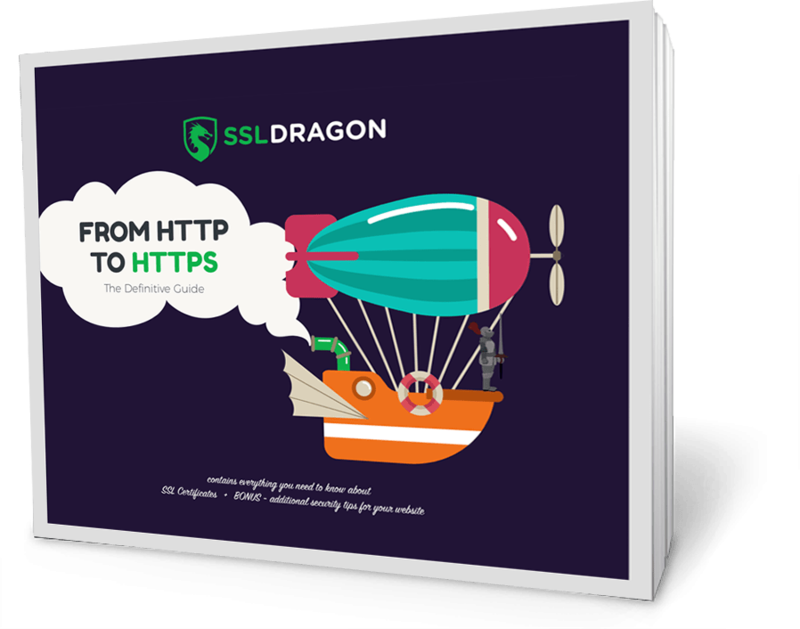 This step-by-step guide gives you everything you need to know about a successful migration from HTTP to HTTPS, along with a detailed description of SSL Certificates and additional security tips for your website. It’s your HTTPS Journey Map. What You’ll Learn From This Fantastic Guide?